Orlando Science Center‘s last Science Night Live of 2018 will feature Makers and the Human Body on Saturday, October 6, from 8-11:30pm. 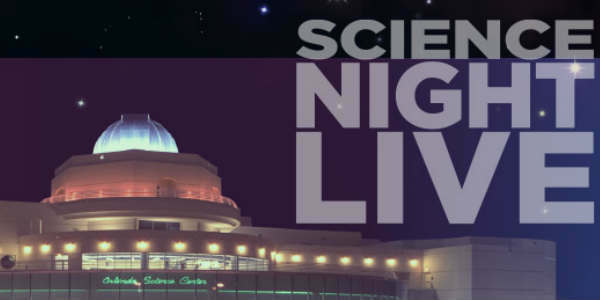 At this special edition of Science Night Live, guests will get to experience everything they love about the Science Center, plus special 21 and up programming. Attendees will be able to create wearable tech in The Hive: A Makerspace, spin the “wheel of torture” for a chilling challenge, solve a murder crime in Dr. Dare’s Laboratory, meet local makers and check out their exciting creations, test their knowledge with spooky themed trivia, and indulge in lite bites and adult beverages available for purchase from the Hard Rock Café and The Naked Cupcake. This month also features two brand new exhibits, Zoo In You and Human Plus. where you’ll learn about the human microbiome and hear stories from individuals using assistive tech to express themselves. The evening’s guest speaker is Andrea M. Rediske, PhD, professor of biology at Valencia College, who will explore just how vital our gut health is in: “Let’s Talk about Poop: Exploring Your Gut Microbiome.” Andrea will explore studies of the human gut microbiome that have provided us with incredible insights into how these microorganisms influence everything from our immune system, to our weight, to our mood. Admission to Science Night Live $15.95 for the general public, or free for Orlando Science Center Members with promo code. Food and beverages are available for purchase at an additional charge. Parking is free in the Science Center parking garage. For tickets and more information, visit osc.org/snl. Posted in Orlando & Central Florida Events, Orlando / Central Florida Attractions	- Tagged Makers, Orlando attractions, Orlando museums, Orlando Science Center, Science Night Live!